As Liverpool searches for that elusive sound, one band appear to have recognised a strange, yet catchy beat that is missing from the UK industrial niche. 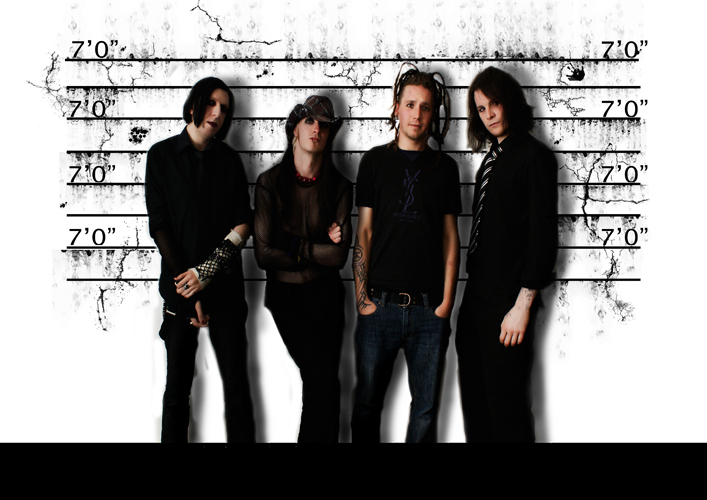 This group is made up of Jonny Seven (vocals), Adz (drums and programming), Davey Cadaver (guitar) and (d)Kult (Bass). They have also recently acquired a fifth member Spooky, to take on synths duties. S] So far you have had many positive reactions from the Liverpool alternative scene, can you tell us whether you plan to tour in the near future? JS] Well, the first date’s set but not so much of a tour planned as yet, but there will be one. We’ve talked as a band and agreed that a handful of local shows is the best step forward right now, then we’ll look further afield. As much as I’m looking forward to playing live here, I don’t want us to get caught in a rut and play twice a week in the city centre. So, yes, touring in the near future is a definite goal. S] Is there a prominent difference between hearing sevendays on CD, as opposed to live experience? JS] At the moment in rehearsals we’re still working out ways to best translate the songs into a live format. Some of it has changed a lot and as a result, we’ve become more raw and edgy. I don’t want to say too much as there are elements of the live show that will surprise people. You’ll see. S] What inspired the material for ‘Violence is Golden’? Are any of the lyrics spun from a personal allegorical level? JS] Different things inspire me at different times, not just on ‘Violence…’ I have books full of lyrics and song ideas. I had high hopes for the title track when even developing the first lyrics. I wanted to create something that would rival NIN‘s ‘Closer’ as an alt club song- those lyrics are definitely inspired by that scene. The other two tracks are quite indicative of my mindset at those particular times in my life. ‘Free Your Mind’, however, was just written to be what it is, a ‘dancey’ type track… inviting you to come ‘rock the dance floor’ and so, there’s no great or deep meaning there. S] There are evident influences that help to shape your musical style, who would you say play a central role to this and why? S] How was it working with Combichrist and are there plans for any more innovative collaborations? JS] The remix is going to be the lead track off of a forthcoming remix collection called ‘ViG:Restitched’. There was a competition we ran earlier this year that had a great response from artists who wanted to work on our songs. We got so many great tracks and finally narrowed it down to 12 or 13 mixes I think. That will hopefully be released to coincide with our live shows. We’re really proud these people liked the track enough to attach their name to it. That gave me a lot of confidence in the music and myself I guess. S] Does the band have any exciting concepts for visual representations of specific songs? JS] It’s like I said before the live shows will surprise people. Anyone who knows me will know that the visual representation of the band will be of great importance. And for specific songs, some of them will have themes. S] In your opinion how do sevendaysofnight annihilate anything that has been heard before? JS] I think it’s less about annihilating and more about amalagamating, I like to think that we draw from a range of styles and influences. 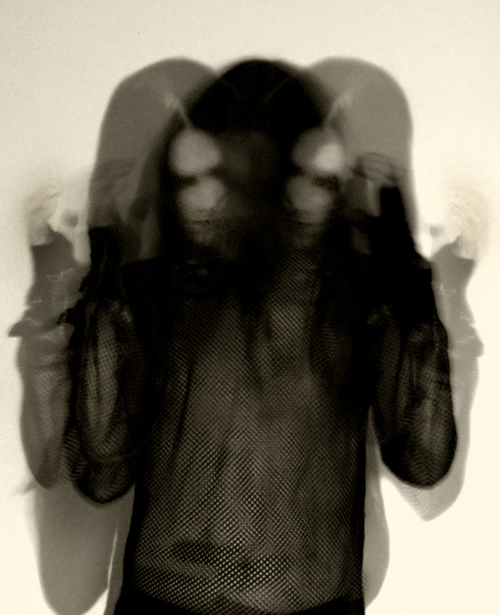 There are certainly industrial influences, metal, EBM, black metal, pop as well as R&B. I’m not scared of using an influence or a sound because it’s not ‘scene’ or is too mainstream. I think that will be what makes us truly remarkable. I mean the main sounds are industrial, electronic with a darker ‘gothy’ twist but if I think a hip-hop beat will fit then I’ll use it. It’s like if Timbaland or whoever thought an industrial distorted effect would work on a song for example ‘Sexyback’, then they would have no qualms in using it. For more information, check out the band’s Myspace. The band will play a debut show on July 5 at Liverpool’s O2 Academy, supporting U.S. pop punkers The Luchagors. *Photos credits courtesy of Lullaby Blue Photography.